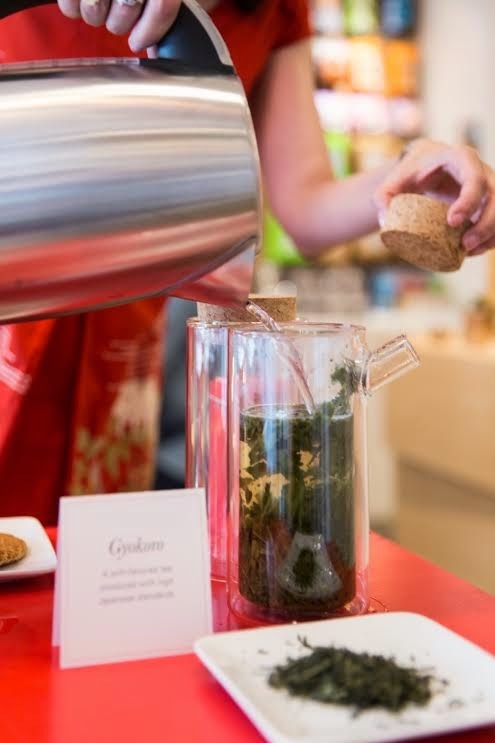 Last week I had the opportunity to brew, serve, and discuss de Pelikaan tea at the Kikkerland store tasting event. I enjoyed the entire process from start to finish. 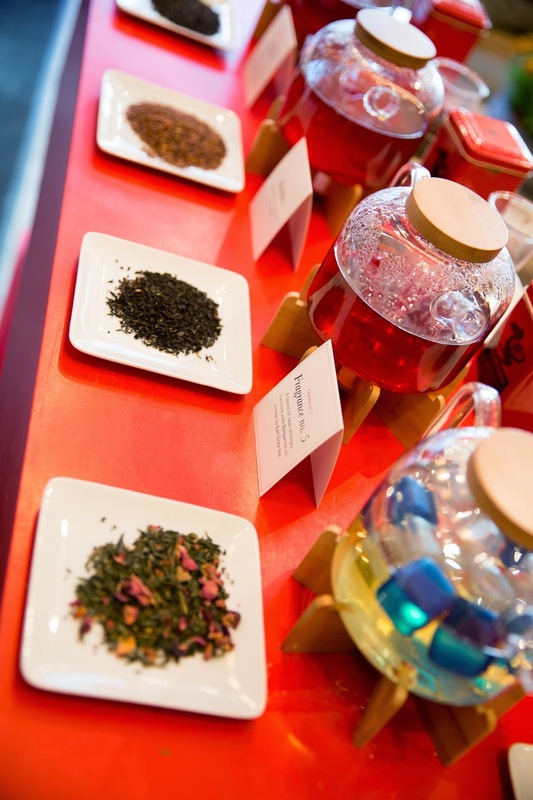 It was a delight to watch everyone taste the teas and say what they liked (or didn't!) about them. I met fellow tea enthusiasts, and introduced newbies to tea as well. There were even a few adventurous children who tried a few sips. 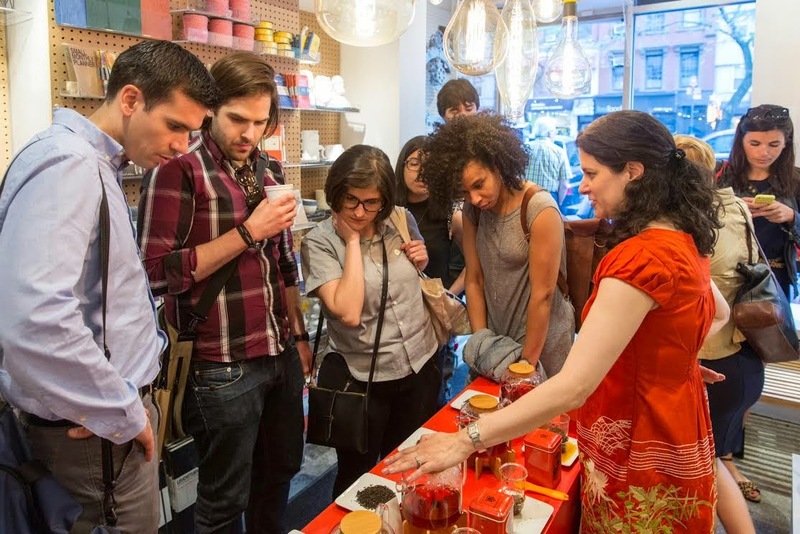 This was the first time these Dutch teas were featured in the United States, and we had a crowd of eager tasters. Preparing for the event was an interesting learning process- I wanted to choose teas that would show the diversity of the brand, but also pick the most pleasing to taste. Kikkerland is selling 11 different de Pelikaan teas, so I had fun tasting and choosing. I had marathon tasting events at home, and even the Littlest Tea Critic got involved. I ended up choosing 5 teas to serve- an amount that isn't overwhelming to the palate but enough to get a sense of the brand's diversity. We served 4 hot teas and 1 iced. The iced 'Mona Lisa Smile' was the big hit of the event. The mix of green tea with rose and strawberry was very refreshing on the warm afternoon. I had many customers come back for second and third helpings. The four hot teas were: Geurthee no. 5 (similar to Earl Grey but with a smoky note), Wijnhuis Melange (Winery Blend-smoky and strong reminds me of a Russian Caravan), Gyokuro (delicate and high quality, a nice green tea to showcase), and rooibos (a good caffeine free choice that proved to be more popular than I expected). The design store was decorated like a garden tea salon for the event. It was comfortable, and lovely to look at. We used glass teaware sold in the store, and I was especially fond of the Ora Teapot. Such good design. 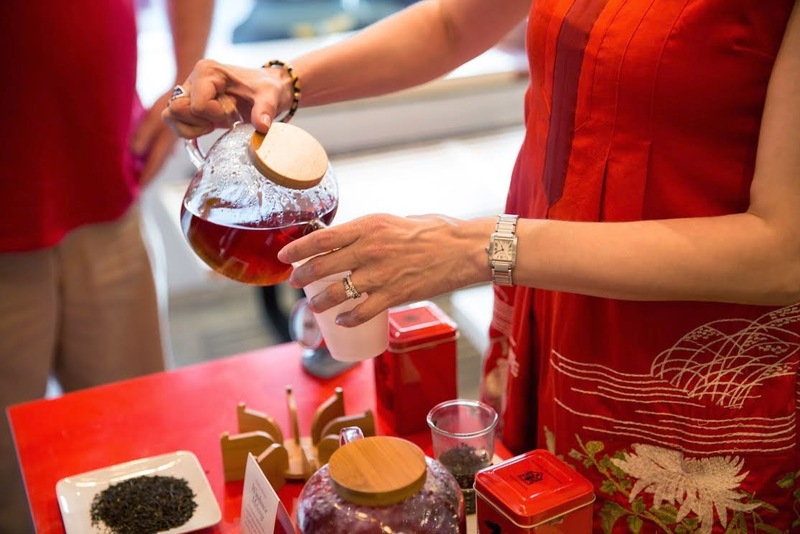 It was a memorable evening, and I am so glad I had a part in introducing these teas to the US. If you are interested in any of the de Pelikaan teas you can find them at the Kikkerland store near Union Square. You can call the store at (212) 262-5000 if you are interested in ordering, or finding out more information (the shipping is free). The staff at the store are friendly and helpful! This was such a fun tea experience, I look forward to my next tea event adventure! If you are looking for any help with a tea event, or just want to chat about tea feel free to contact me.